Dermal fillers are the second most commonly requested aesthetic medical procedure, often used in combination when performing a “liquid face lift”, or as a stand alone treatment for specific areas of concern. As the skin ages it loses its elasticity and collagen that helps to shape and support it. It starts to become drier, thinner and less able to fix itself. As a result, lips can lose their fullness, lines can appear around the mouth and nose area, and cheeks can start to look sunken and hollow. Facial fillers can restore plumpness to your lips, enhance the cheeks and redefine the shape of your face. At AVID Aesthetics we use hyaluronic acid fillers; a natural ingredient that is found in the body, but diminishes as we age. They work to iron out wrinkled, crepey skin and give a fuller look. Due to the high levels of hyaluronic acid, they also attract and retain water, improving the skin’s appearance and texture. By lifting and smoothing targeted folds and wrinkles by adding subtle volume, dermal fillers can make a difference to your appearance, giving you a fresher look. Dr Vadi’s signature look is to accentuate and enhance facial features whilst maintaining balance and harmony with an emphasis on a natural – looking finish. Dr Vadi uses only premium products such as the Juvéderm® Vycross range as they create subtle enhancements and their advanced products contain Lidocaine to help numb the treated area during treatment. This ensures that the procedure is very comfortable for you, both during and after treatment. Treatment is simple, safe and effective, and most daily activities can resume immediately following the treatment. A topical anaesthetic is applied to the treatment area. If you require, Dr Vadi can administer a local anaesthetic for more comfort, especially when treating the lips. The gel is then injected into the deficient areas, instantly volumising and plumping the area. With any injectable treatment, there can be some slight bruising or swelling that accompanies it. This should not persist much longer than a day, and is easily coverable with makeup. Immediately after treatment the lines on the face should appear minimised and smoothed out. A touch-up treatment within 2 – 4 weeks after the initial treatment may be necessary to achieve an optimal correction. Dermal fillers are long lasting but not permanent. Patients can expect to notice the effects for as long as 18 months after treatment. There is even precedence of results lasting up to 24 months in some cases. Yes, Dr Vadi only uses products with the highest safety profile and techniques where rare risks are minimised further. The fillers used are temporary and are naturally and completely broken down by the body. Facial fillers can be used on a wide range of patients, and are primarily used for skin rejuvenation and the reduction of lines and wrinkles. Other suitable candidates are those seeking to add structure and volume to the face. I see a lot of patients who have lost volume in their face due to living a very active, high impact lifestyle (such as runners). 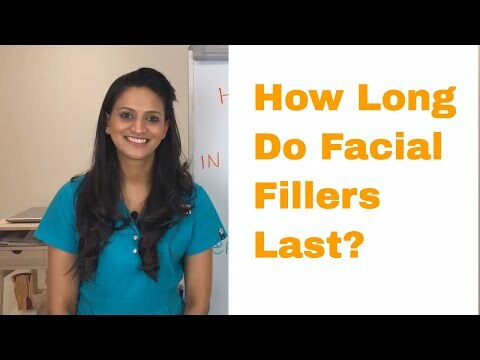 Fillers help to restore the volume loss that naturally begins to occur when we reach our mid-thirties, and in turn gives a fresher, brighter appearance. The results should be subtle, leaving your friends and family believing that you are simply looking your best and great for your years. Treatment lasts between 15-24 months but, naturally, towards the end of this period the effects begin to gradually soften, so there is no dramatic change. When the effects begin to soften, you can have a re-treatment to maintain the desired effect. 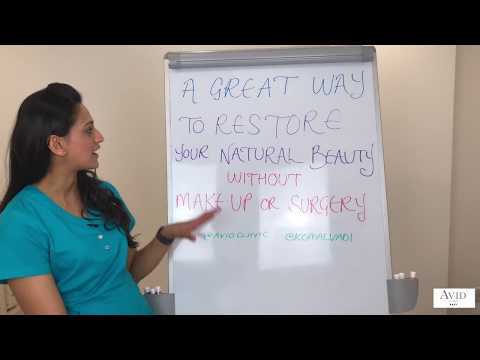 If you have any questions or would like to book in for a complimentary consultation with Dr Komal Vadi BDS, please contact us on 0208 777 4343 to discuss your options. If suitable for treatment, we will provide you with a tailor made package to best meet your needs.